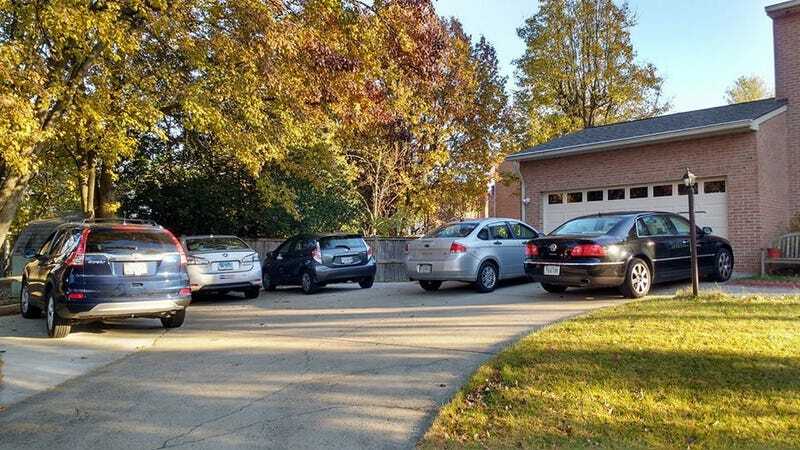 I’m impressed with the number of cars my brother was able to fit in his driveway on Thanksgiving Day. All in all, it was a success. Politics were avoided. No one drank too much. And for the first time, I actually brought my partner, and everyone was nice to him. No more having to uncomfortably dodge the inevitable “When are you going to meet a nice girl?” questions. God, I hated those. Oh, I guess there was one minor incident. The pumpkin pie my brother bought turned out to actually be sweet potato. Pumpkin > sweet potato.